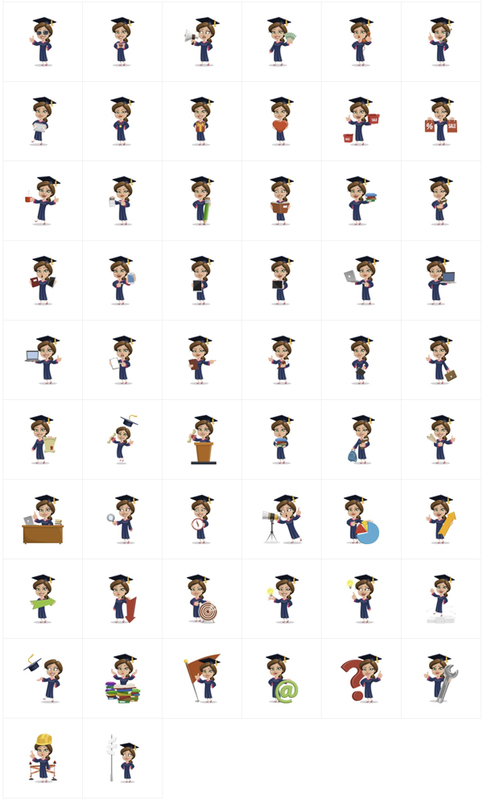 We present to you Graduate Girl Vector Character. This graduation girl is smart. She wears a robe, a graduation hat and holds a diploma. You can use this cute female character in many different ways. She is perfect for all kinds of educational purposes. She is available in 112 different poses, many of which are emotional and concept poses. You will also find a lot of graduation-related poses. She is made of vector shapes, so you could easily incorporate her into your designs without losing quality.